If you haven’t had a martini or three already today, it’s definitely time. And if you don’t like martinis, try a Tom Collins. It’s light, lemony and refreshing, not too tart and not too sweet, and yet it still packs a gin-driven punch. The recipe calls for a Collins glass but we cheated and used an old-fashioned glass. At this point in World Gin Day we’re not fussy. Hic. Add ingredients to a mixing glass that’s half-full of ice and stir until ice-cold. 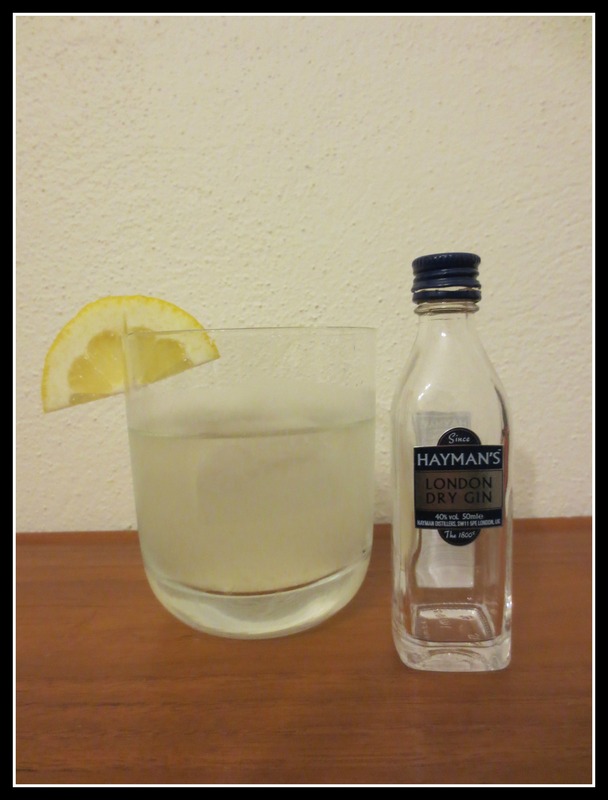 Strain into a fresh glass that’s about a third full of ice and garnish with a lemon wedge. Ridiculously easy to make and drink. Tastes almost like something you’d have at an old-fashioned child’s garden party….until you realise you’re vomiting into the punch bowl. Yep, it’s one of those “this is like lemonade!” drinks that you really shouldn’t treat like lemonade. This version appears in a book written by the talented crew at Melbourne bar 1806, Cocktails: World history as seen through the bottom of a cocktail glass (Smudge Publishing, 2012).